Almost everyone needs goods and services as consumers. Talking about services, selecting an auto shipping company to transport and ship your vehicles could be a great challenge for most of the people indeed. Needless to say your vehicles such as cars or trucks, or even boats, RV’s, motorcycles are valuable assets and must be transported and handle with utmost care to avoid damage. There are several things to consider in your selection of an auto shipping company. The first thing to consider is trust and confidence. 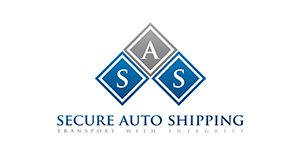 Is a particular auto shipping company worthy of your trust and confidence? This would depend upon its dependability and reliability and the opinion of all of its past and current customers. You need to look whether or not it is duly licensed to engage in such business. -> Experience and expertise: Does it have the necessary experience in its field? Does it have the needed technical know-how or knowledge? -> Fast and efficient services. Time is always of the essence in any delivery or transportation of vehicles. In fact, most people look for fast delivery as among the important consideration. Delay for that matter has no place in any efficient services to the customers. -> Value for money: Different auto shipping companies charge different rates. You should consider if their quotation is reasonable compared to the other rates being charged by other shipping companies? -> Service Availability: Finally, you need to take into account if the service being offered by any shipping company is available round the clock.